Jamie Kinosian is our CatPrint Featured Artist of the Month for June 2015! 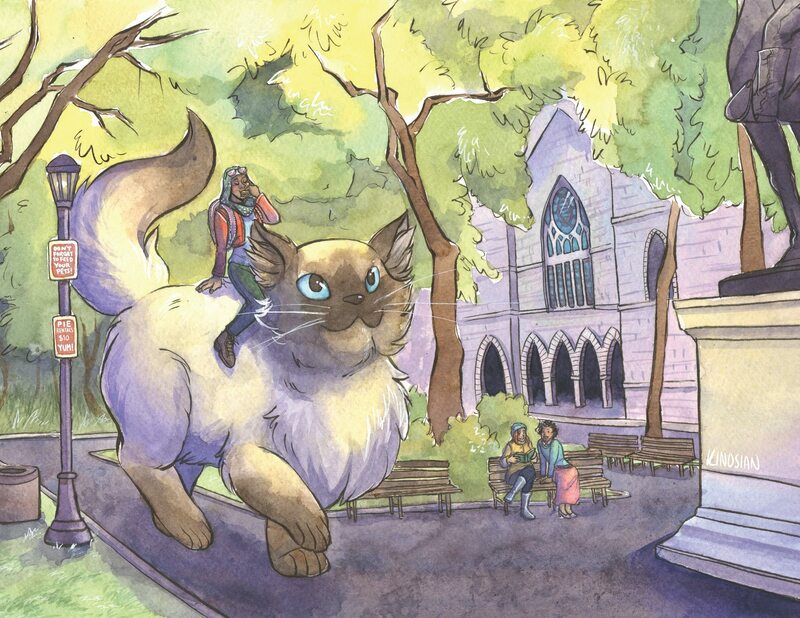 A complimentary 8.5″ x 11″ print on Heavy Card Stock Felt of her beautiful piece “A City Stroll” will be included with all comic, illustration, and anime/manga art orders this month! To learn more about Jamie Kinosian, the following are links to her portfolio and/or web store.